Discover the power of essential oils to enhance holistic health and wellbeing. Aroma has a potent, positive influence on the brain, promoting physical and mental healing. 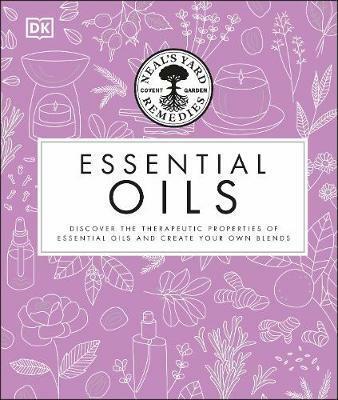 Neal’s Yard Remedies: Essential Oils is a unique, stunningly illustrated guide to the properties and uses of 86 essential oils from basil to ylang-ylang. Try 30 home remedies and essential oil recipes, learn how to apply them safely, and create essential oil combinations to treat common ailments. Plus, make feel-good, fragrant products for the body and home using techniques such as blending, aromatherapy massage, and steam inhalation, alongside natural beauty treatments. Written by the experts, Neal’s Yard Remedies: Essential Oils will bring the rejuvenating benefits of aromatherapy into your life.